Do you feel like the only one who cares? Do you wish your older adult’s family and friends would call or visit rather than just talk about how much they care? Do you worry that your senior feels like they’ve been forgotten by everyone but you? 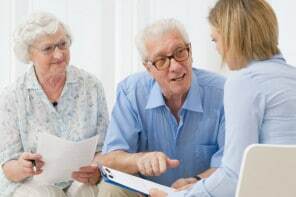 In many cases, family and friends do think about your senior and want to show that they care. But they might not know what to say or do. Or they might forget to call or visit because they get caught up in their day-to-day lives. These certainly aren’t good reasons, but they’re common situations. There’s a simple solution — a kindness reminder service! Viki Kind created a free service that sends one brief email every week for 40 weeks. Each email is focused on one simple way to show kindness to your older adult. Viki knows what she’s talking about because in addition to being a clinical bioethicist and professional speaker about caregiving and end-of-life, she has cared for six older adults! In week 1, Viki’s email reminds us to call our senior and take the time to truly listen. She includes practical advice on having a pleasant and meaningful conversation. Each week, there’s a new tip on how to show kindness, complete with suggestions and helpful examples. If you sign up for these emails, it’ll be quick and easy to forward them to family and friends. It saves you the time and headache of trying to figure out how to get them to do more for your senior. Sometimes a gentle reminder with specific ideas is all that’s needed to help someone do something nice for your older adult. You might even convince some people to sign up for the emails themselves! 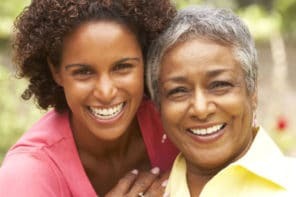 You already spend lots of time with your senior, but these emails can give you new ideas and specific suggestions for different ways to show them how much you care. Signing up is simple. Aside from the initial sign-up confirmation emails, you won’t get anything other than one email each week. Just enter your name and email address in the upper right hand side of the Kind Ethics website — see the circled area below. Some family and friends need frequent gentle reminders to call or visit your older adult. Viki Kind’s free kindness reminder emails gives them specific ideas for how to show that they care. Viki Kind is clinical bioethicist, professional speaker, hospice volunteer, and six-time caregiver. She often speaks about why family caregivers need support and how to get needed help. She’s also the author of “The Caregiver’s Path To Compassionate Decision Making.” Learn more about Viki at the Kind Ethics website.